Right next to Lake Anne Plaza, is a street called Moorings Drive. I think there are a lot of people in the area who think Moorings Drive is a parking lot (it fills on Saturdays in the summer for those shopping at the Reston Farmer’s Market.) Yet there are actually four town home clusters and an apartment complex off Moorings Drive. It’s one of Reston secret neighborhoods; the kind of community where people move in and never want to move out. 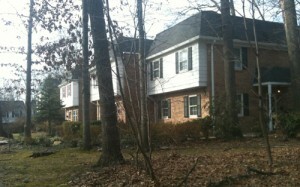 The clusters off Moorings Drive are a wonderful mix of the different styles of Reston town homes. This neighbor is not only charming, it’s quiet and close to everything. Brookshire is the first cluster on the left. It’s one of the first clusters built in Reston in 1964 and 65, and one of Reston’s smallest. Despite it’s humble size, it has an impressive ratio of green space to homes — 5 acres to 26 homes. These two and three bedroom townhomes feature an average of 1,500 square feet of living space. These small colonial style homes are favorites for young families and singles. Next up is Chatham Colony Cluster. This is also a small cluster with about 45 homes, although they are quite a bit larger than their neighbors. Each also has a wooded backyard. These colonial style townhomes have brick exteriors, shuttered windows, and two designated parking spaces. With three bedrooms and full basements, each home offers plenty of space for growing families and empty nesters alike. And like most Reston homes built in the 1970’s, each has beautiful hardwood floors and large windows. Next on the tour is Wyndmere Cluster. Built in 1992, it’s the newest addition to this area. These townhomes are more contemporary and feature vaulted ceilings in the bedrooms. Listings in this cluster rarely come up, and when they do, they go fast! Like all of the townhome clusters off moorings, residents have access to Lake Anne. Finally, there is Moorings Cluster, built between 1971 and 1972. These 50 spacious three- to five-bedroom townhomes have fantastic views of Lake Anne (70% are direct lakefront properties). What makes these townhomes especially unique is that each of the homes has a garage. That makes up for the tight street parking. Walking to Lake Anne, jogging on the nearby Reston Association paths, or getting to Reston Town Center in a matter of minutes are just a few of the perks of living off Moorings Drive. It’s also close to ballparks, pools, tennis courts, the sprinkler park (off North Shore Drive) and more. Many residents have small boats and canoes that they take out on Lake Anne, enjoying a leisurely paddle to the plaza for concerts, festivals and dining. In the summer, residents can walk to the popular Farmer’s Market and Reston Market. Neighborhood residents attend Reston’s Lake Anne Elementary, Langston Hughes Middle and South Lakes High School. All of the clusters off Moorings Drive have easy access to main roads and public transportation. Summer is in full swing, and it has been a glorious July. The weather has been beautiful, with lower than normal humidity. Perhaps that is why I’ve been seeing so many people on Lake Anne. Here are just a few of the lake season sports happening in Reston. We are lucky to have a company here in Reston that offers standup paddle boarding (SUP) workshops on our Reston lakes — Surf Reston. SUP has been growing in popularity, probably because it is so much fun! Paddle boarding started as an offshoot of surfing, only it’s much easier and you don’t need waves. The concept is simple — you stand on a surf style board and use a long paddle to move across the water. It’s a fun sport anyone can enjoy. Surf Reston offers workshops at Lake Anne, Lake Audubon, Lake Thoreau and Lake Newport. The company started as a way to build a community of individuals who enjoy paddling; they teach how to paddle responsibly and safely and give their customers the opportunities to connect with other enthusiasts. Sign up for one of their workshops today! Better yet, get a group of friends to do it together. It’s a blast. Until Labor Day weekend, you can enjoy a leisurely paddle around Lake Anne. Reston Association provides kayak, canoe, and paddle boat rentals by the hour. It’s a fun way to spend a summer evening! You can purchase tickets at Reston’s Used Book Shop, 1623 Washington Plaza (near the fountain). Contact the book shop by calling 703-435-9772. The cost is $6 per boat for 1-hour rental. For other fun ways to spend your summer day, check out this comprehensive guide in Modern Reston. I spend a lot of time talking about all the amenities Reston has to offer, and you could easily fill all of your free time doing everything. But I would be remiss if I did not point you to the NOVA Parks. I sometimes get so focused on my life at Lake Anne, I forget the incredible resources we have in Northern Virginia. The park authority maintains many of them. 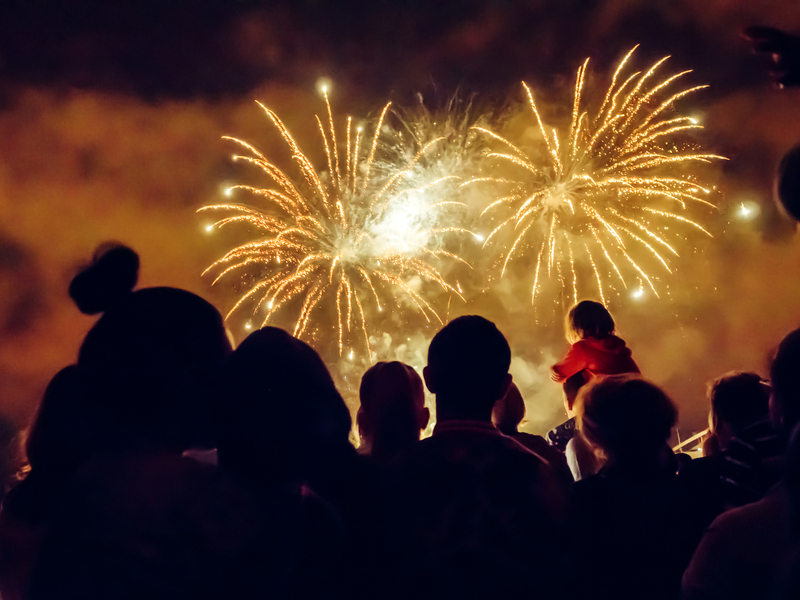 NOVA Parks is a nonprofit that represents three counties and three cities — Arlington County, Fairfax County, Loudoun County, the City of Alexandria, the City of Falls Church and the City of Fairfax. NOVA Parks staff, volunteer board members appointed from each jurisdiction and friends of the regional parks have worked together to preserve more than 12,000 acres of the rolling and wooded Virginia countryside, creating a priceless legacy for future generations. We are truly blessed that way back in the 50s regional leaders has the foresight to protect the Northern Virginia Wilderness. NOVA Parks provides so many things to do, I can’t possibly list them all. So I’m just going to share my favorite. That is Meadowlark Botanical Gardens, also known as a little slice of heaven. The gardens consist of 95 acres of ornamental display gardens and unique native plant collections. I particularly love the fairy garden, but all of the gardens are beautiful and fun. You can sit on a bench in your favorite spot, or meander along the walking trails, discovering local flora and fauna (be careful of nesting Geese… they don’t appreciate visitors and they will charge you). The Atrium contains an indoor tropical garden. I’ve been to several events there, and the space is amazing. Meadowlark Botanical Gardens is also home to the annual Winter Walk of Lights, a spectacular holiday light show featuring dozens of illuminated displays. What is really nice is you can buy an annual pass for only $45 for the entire family! I think that is one of the best deals around. Of course, if you don’t want a pass you can buy single tickets — $5 for an adult, $2.50 for seniors and children 7 to 17, children under 7 free.